Throughout his research into memory theory, Nelson Dellis found existing memory improvement guides to be wanting-overcomplicated, dry, and stodgy. So he decided to write a book that is approachable and fun, centered on what people actually need to remember. 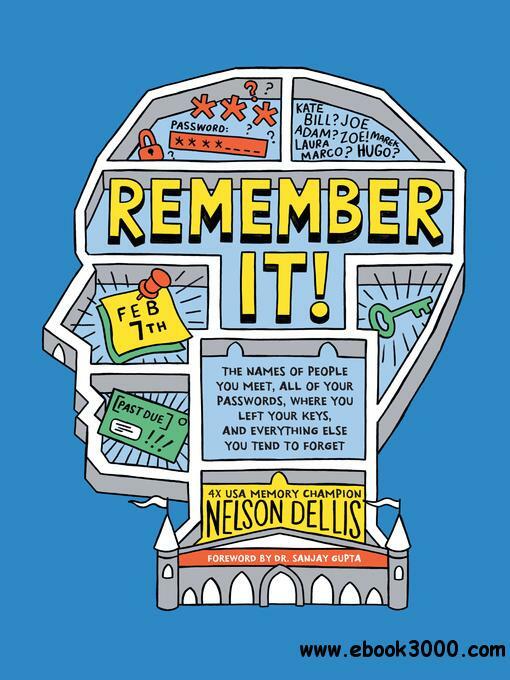 In Remember It!, Dellis teaches us how to make the most of our memory, using his competition-winning techniques. Presenting the information in a user-friendly way, Dellis offers bite-size chapters, addressing things we wish we could remember but often forget: names, grocery lists, phone numbers, where you left your keys-you name it! This fast-paced, highly illustrated tour of the inner workings of the brain makes improving your memory simple and fun.